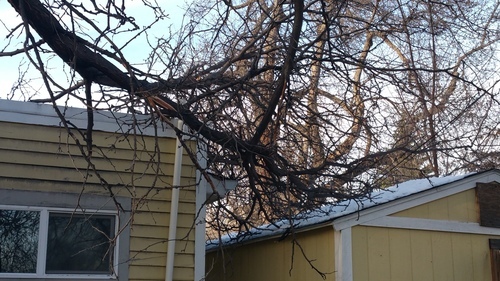 If during a storm a tree comes through the roof and ceiling, usually there is already a power outage, but if there is not, assume that all lines are hot, and get to a known safe area. ​Often, it's not the actual storm that causes accidents and injuries; it's the aftermath and cleanup as people are attempting to remove limbs and debris before local authorities have given the all-clear signal. This is the time for the homeowner to contact their insurance agent and gather necessary information to begin the claims process. This is also a good time to take pictures. Again, wait for the "all clear" from authorities. 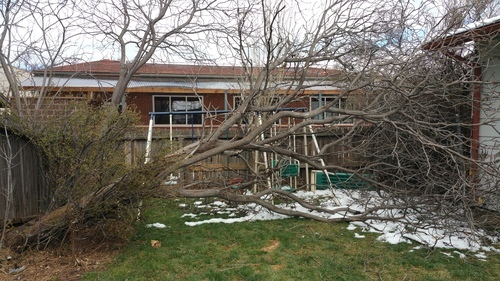 Once the storm damage site has been cleared for entry, damage assessment can begin. 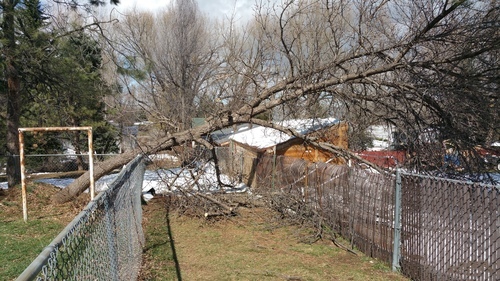 In some cases, the insurance adjuster may require more than one estimate before any work is approved. 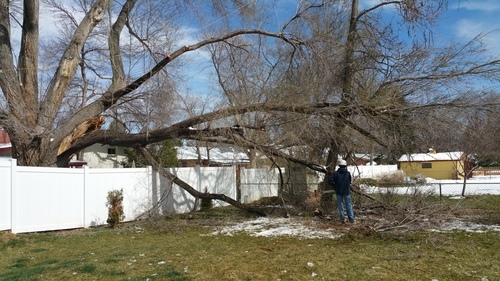 Our goal is to accomplish storm clean up without incurring any further damage to the structure..